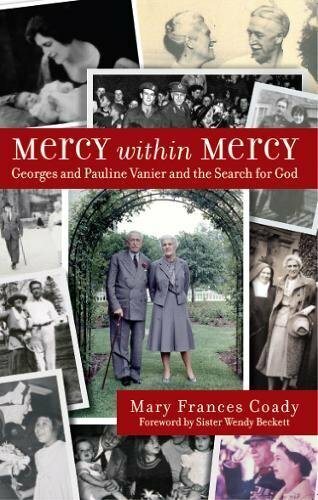 Synopsis: Georges and Pauline Vanier were the parents of Jean Vanier, the co-founder of the L'Arche communities. They lived an intensely spiritual life, influenced mainly by the Carmelite tradition. Mercy Within Mercy is the warmly-told story of their life together through World War Two and the second half of the 20th Century, drawing on many letters and journals by Georges and Pauline themselves and those closest to them., An incredible thirst for God can be seen in the lives of this couple, who were always striving in spite of (and through) human imperfection. The excerpts from letters and journals in this volume show a rare example of the contemplative life and struggles in prayer of an active and prominent married couple. The Vanier story is unique in that it forms a direct link back to the spiritual teaching that includes St., Therese and the Carmelite tradition in its emphasis on simplicity, trust in God's love, and self-abandonment to the mercy of God. After Pauline's death in 1991, an investigation began into the possible introduction of their cause for beatification as a married couple. About the Author&colon; Mary Frances Coady is an editor and creative writing instructor and teaches professional communication at Ryerson University in Toronto. She has written widely on the contemplative life including The Hidden Way: The Life and Influence of Almire Pichon.